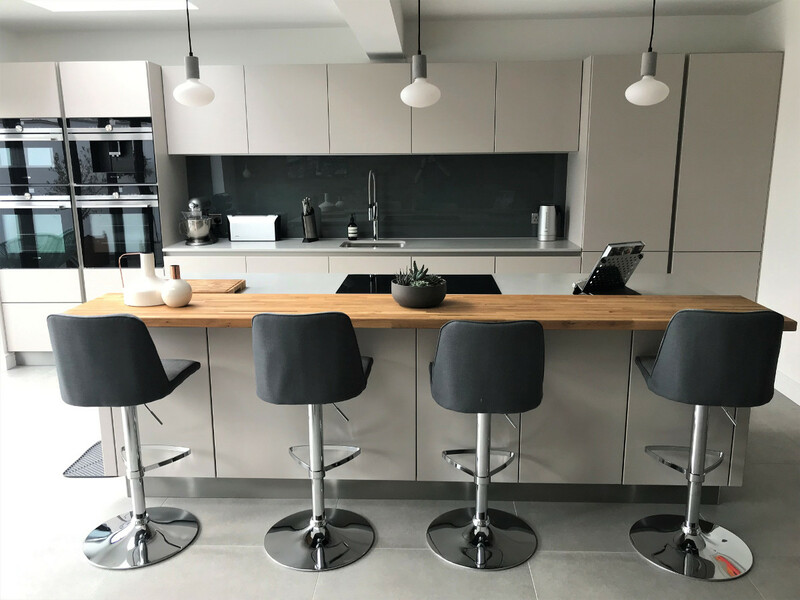 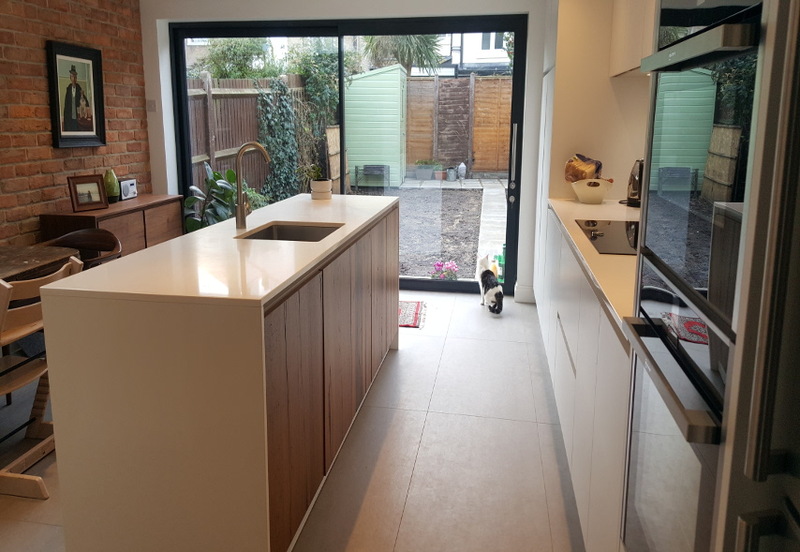 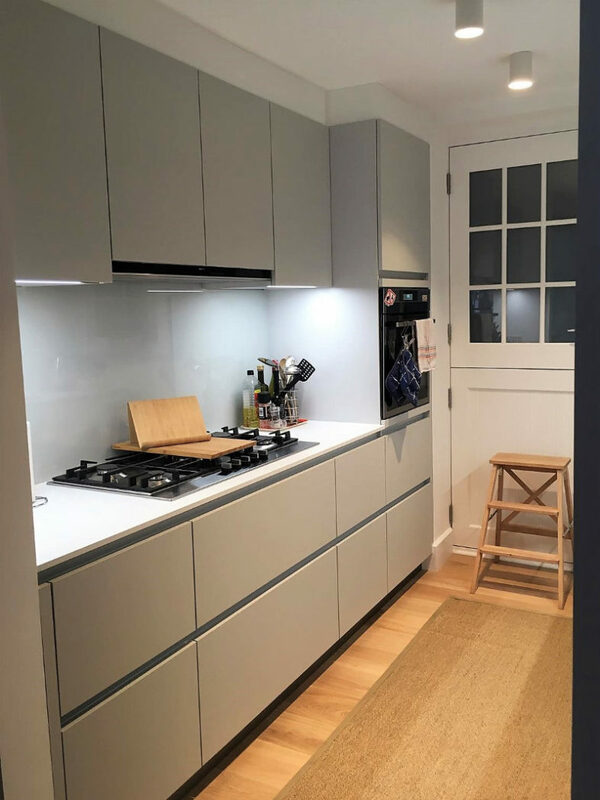 One of our first sets of new kitchen photos for 2018, sent in by our customer Maren, a big thank you to her for taking the time to do this. 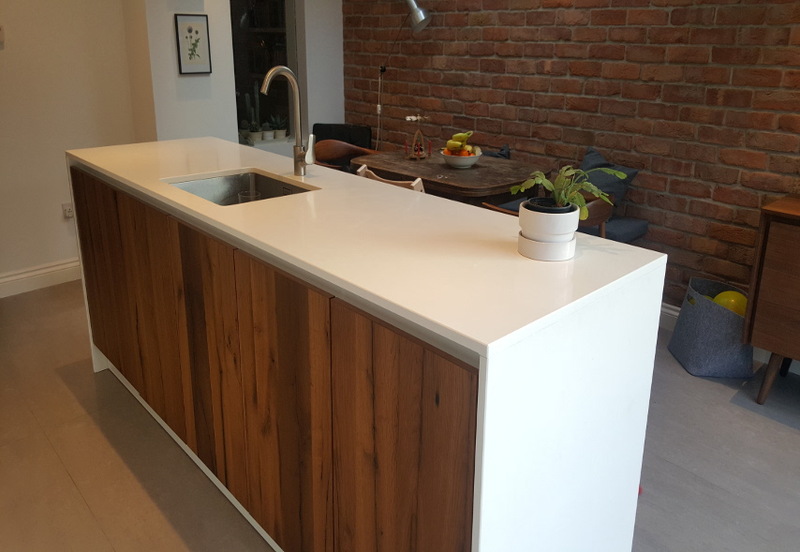 Maren chose Crystal white matt velvet finish from our Next 125 range combined with the gorgeous natural wood finish of Old oak on the island. 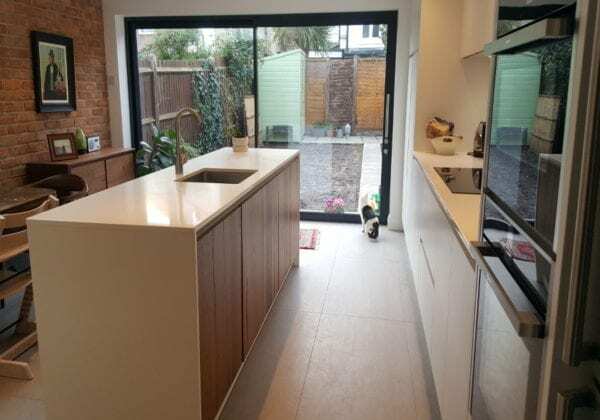 The worktop is Nuevo white, 20mm thick.